This simple, yet stylish, pendant is from Posh Mommy. 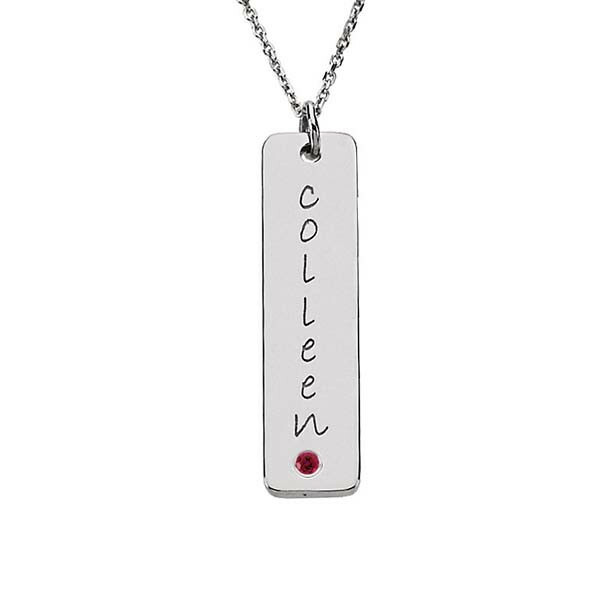 Crafted in sterling silver, it features a simulated ruby, the birthstone for those born in July, and is engravable with up to eight characters of your choice. The tall tag has a silver bail from which to string an already-owned chain, or a chain can be purchased separately. The pendant will stand the test of time, reminding her of your love for years to come.